Last month, along with a merry band of SPHSU PhD students, I attended the Scottish Graduate School of Social Science (SGSSS) summer school. I am confident in speaking for us all by saying that we had a great time. Over the course of the week we took on board a wealth of information related to the PhD journey, both in terms of knowledge specific to each of our PhDs, and more broadly about the ups and downs of pursuing a PhD. This blog offers some reflections on the SGSSS summer school and outlines why PhD students at the SPHSU, and from across the social science disciplines, should consider attending in the future. The pairing of the words summer and school isn’t normally a coupling that elicits positive feelings. For me it, it takes me back to afternoons in primary school spent staring longingly out the window at an empty football pitch, while we sat in class, knowing full well that when the actual school holidays came the sun would be replaced with rain. However, since I started my PhD journey several years ago, the phrase summer school now elicits far more positive feelings and for that I should like to thank the SGSSS. The SGSSS provides training and support to doctoral students across Scotland, working in partnership with sixteen universities. In addition to their summer school, the SGSSS delivers a programme of advanced training courses throughout the academic year which supports doctoral students to develop their research knowledge and transferable professional skills. The SGSSS Summer School is their single largest event of the year, offering students a wide range of sessions over three days and attracts several hundred attendees each year. 2018 marked my second (and last, sob!) year at SGSSS summer school and, like 2017, I had a great time. While sometimes overlooked in favour of academic conferences, PhD summer schools are becoming an increasingly prominent aspect of the postgraduate academic calendar. This year’s summer school took place from 19th- 21st June and was hosted by The University of Edinburgh, with sessions taking place in David Hume Tower. Over the course of the three days, attendees could choose from over 30 sessions which addressed a range of topics including: research with children and young people; research design in the social sciences; writing up ethnographic data; and working with policy makers. As this will be the last year I can attend, I chose to attend sessions to help with planning my post-PhD career. Special thanks to Dr Jo Ferrie, who is also the Deputy Director of the SGSSS, for giving an excellent session on the realities of forging a career in academia which highlighted the importance of setting goals and, crucially, the steps you need to take to meet those goals. In addition to providing specialist knowledge, the summer school sessions provided a forum for PhD students to share their experiences and reflect on the challenges of doing a PhD. For many, myself included, this can be an important experience as, while nobody’s PhD is (hopefully!) the same, many of us encounter similar problems. A lot of concerns and frustrations are common amongst PhD students across different institutions and disciplines, and the range of difference backgrounds that are present at the summer school makes it a fantastic learning experience. The PhD journey can be a lonely one and collegial learning and reflection can be extremely helpful in combating anxiety. One of my favourite aspects of SGSSS summer school is having the opportunity to meet students and academics from other disciplines. I found that talking to people with little idea about my research, who are potentially from wildly different disciplines, challenged me to think about my PhD in different ways and led me to developing new insights about my research. From my own point of view, PhD students should look to attend the SGSSS Summer School as many years as they can during their PhD. 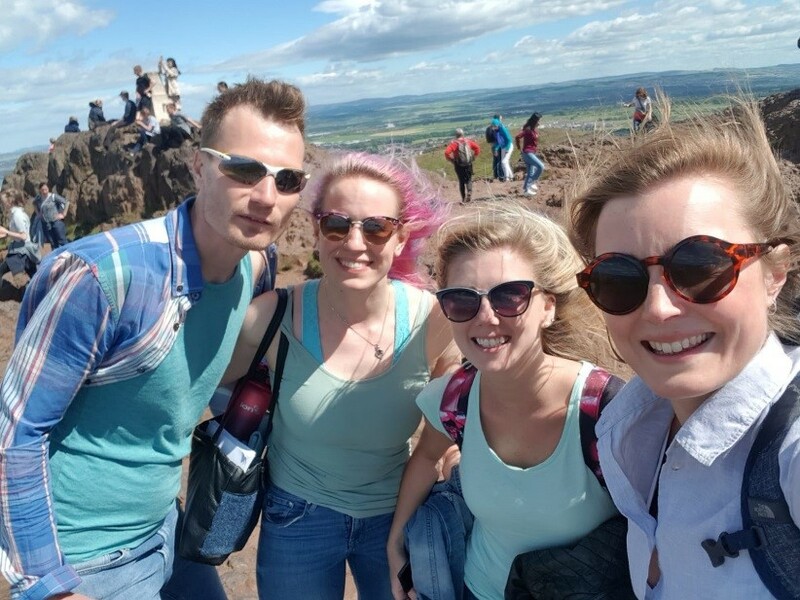 I’d like to end this blog by offering some reflections from other SPHSU students on their experiences of the summer school – if you have any questions about anything raised in this blog, or about PhD life in general, then look us up on Twitter @SPHSUStudents. What did you learn from the SGSSS Summer School? The most important thing I learned is that a PhD is not a straight path. I will take 3 steps forward and 2 back but this is part and parcel of a PhD. Things won’t always go your way. For me, I think the most useful things I learned were through the discussion based activities where you got to chat in small groups about the issues you were thinking about in your project and how to approach them. I think the peer-to-peer learning was just so useful particularly in the context of PhDs being quite solitary endeavours, but also having an expert there to chime in and give suggestions (whether of literature or contacts or whatever) was super useful. Why should other PhD students consider attending SGSSS Summer School? Social science environments for someone without a background geared towards this can sometimes feel a bit out of reach in reference to terminology etc. Things were explained clearly, you were never made to feel out of place for asking for clarification on terms and the possibility for really engaging conversations were provided both during the sessions and in the more social aspects of it. The range of sessions available, the range of backgrounds there, and the value for money aspect definitely mean it should be something people really consider going to! 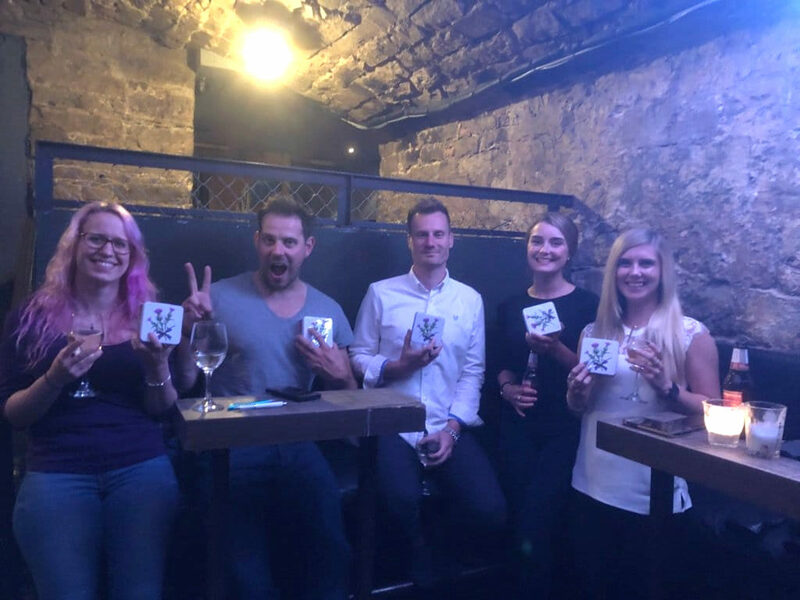 The social aspect of the SGSSS is also really important as you get to meet other PhD students from across Scotland, across all disciplines, and to cement bonds with students from your own university, through the group activities and social events. Oh, and of course, worth going along to win some high-quality shortbread in the quiz.